Ghost Town Games has themed this new, free DLC around celebrating the Chinese New Year, with new kitchens and chefs styled as such. 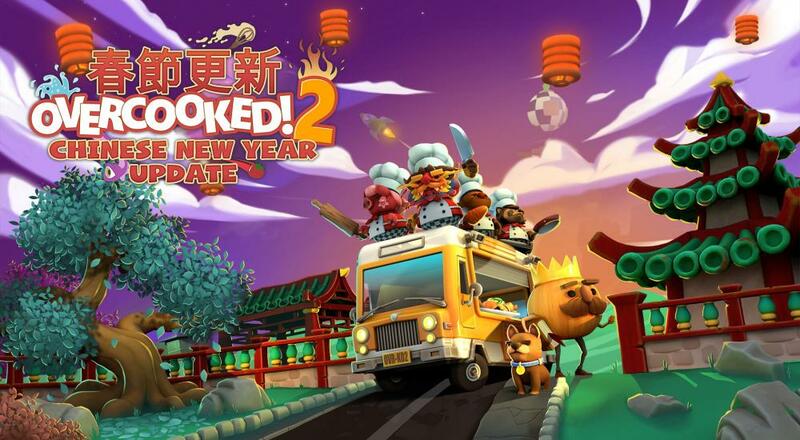 In case you thought chopping food while being chased by a Chinese Dragon wasn't enough of a culinary challenge, the update also brings in a brand new mechanic, the wok. I guess I can finally know what it feels like to cook up a stir fry while subsumed in mortal terror. Today's final addition takes the form of a brand new Survival Mode, which should be available in all current levels. Instead of receiving a score with each successful dish, Survival Mode adds time back onto the clock, meaning every order gives you a few more moments to scream at your friends for leaving uncooked steak on the floor. Our review of Overcooked! 2 can be found here. In short: play it if you enjoy good times and having fun. Otherwise, I guess go spend your money on whatever gives you the least enjoyment possible. Overcooked! 2's short order mayhem can be enjoyed by up to four players in both local and online co-op, as well as any mixture of the two. If you haven't already picked it up, it's available on the Nintendo Switch, PlayStation 4, Xbox One, and PC. Page created in 0.4607 seconds.